Clint joined MiLB Umpire Development in 2018 to observe, instruct and evaluate Minor League Baseball umpires. 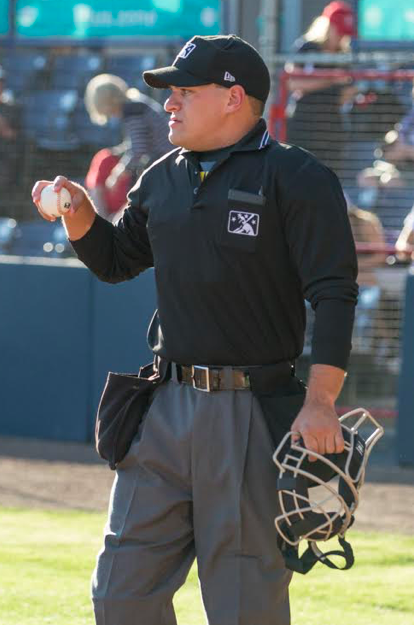 Prior to joining Minor League Baseball Umpire Development in 2018, he umpired the World Baseball Classic, Pacific Coast League, International League, Texas League, Eastern League, Florida State League, Hawaiian League, Midwest League, Pioneer League, Venezuelan Winter League, Colombian Winter League, Arizona Fall League, Florida and Arizona Instructional Leagues. He also umpired part time in the Major Leagues during his eight years at the Triple-A level. He holds a Bachelors Degree in Business Administration from the University of Houston as well as a Masters in Business Administration from the University of Phoenix. Currently Clint is finishing his Law Degree at Mitchell Hamline School of Law. Fagan resides in Tomball, Texas with his wife, Paige, his daughter, Addison, and son, Hudson. college clinics around the country. Mills Cup, and the 2017 Southern League Championship series. In 2017, Skyler was selected to Umpire the MLB Futures Game in Miami, Florida. Rich attended PUC in 2009 and earned a position in the American Association at the age of 19. He continued to work in the American Association for three seasons and one season in the CanAm League while continuing his undergraduate education and earning a Bachelor's Degree from Adelphi University. After earning his degree, Rich attended the 2013 class at MiLB Umpire Training Academy where he was selected to work in the Minor Leagues. Since then Rich has umpired in the New York Penn, South Atlantic, Florida Instructional, Carolina, Arizona Instruction, Eastern, and International Leagues. Rich has also taught at MiLB Umpire Training Academy since 2014. Rich's background in teaching and knowledge of the rules benefits the students. As a graduate of the Pro Umpire Camp, MiLB Umpire Training Academy, and MiLB Advanced Course, he provides students with first hand experience of what is expected from them. Along with his professional experience, Rich earned his Bachelor's Degree studying Physical Education at Adelphi University and his Master's Degree studying Education and Technology from Colorado State University-Global Campus. Rich currently resides in Lindenhurst, NY. Darius returns to the Pro Umpire Camp staff after working 2018 season in the California League. A successful season earned him an assignment in the California League championship series and Arizona Instructional League. .Prior to being hired by Minor League Baseball, Darius worked two seasons in the American Association after attending PUC in 2013. In the off-season, he enjoys following hockey and will be returning to the Wendelstedt Umpire School Staff in January. Michael is coming in for his sixth year as an instructor at the Pro Umpire Camp. Michael has worked in the Arizona League, Pioneer League, Midwest League, Florida State League, and instructional leagues. Michael worked one year in the American Association in 2013. In 2014 he worked the Atlantic League before he began his affiliated baseball season. Michael also works Division 1 College baseball in the Southland and SWAC Conferences and Division 2 Lonestar Conference. Randy Wilmes has spent the last four years in affiliated baseball working in the Arizona, Northwest, Midwest, and California Leagues. His work has earned him assignments working playoffs in all leagues. Prior to working in Minor League Baseball, Randy attended MiLB Umpire Training Academy in 2014 and 2015. Randy is also a 2014 graduate of Pro Umpire Camp and worked the 2014 season in the American Association. Randy graduated from University of Nebraska-Lincoln in 2013 with a Bachelor's Degree in Math Education. Randy is from Creighton, NE and currently resides in Lincoln, NE. Matt Herrera joins Pro Umpire Camp for his third year instructing. Matt joined the staff in 2017 after he successfully attended MiLB Umpire Training Academy and earned a position in MiLB. Prior to attending MiLBUTA, Matt attended Pro Umpire Camp in 2015 haven never been to an umpire school before. He earned a position working in the American Association and the Atlantic League. Matt graduated from the University of Houston-Victoria in May of 2016 with a degree in Business Management. Matt is currently working on his Master's Degree in Strategic Management. Matt currently resides in Houston, Texas. Lane attended the 2018 MiLB umpire Training Academy and was not selected to the advanced course. Afterwards Lane attended Pro Umpire Camp where he earned a job in the American Association. Lane spent the entire 2018 season working in the American Association. During the season Lane was able to work on the umpiring fundamentals, baseball instincts, and situation handling. Lane earned the honor of working the Northern Division Championship in the 2018 postseason. 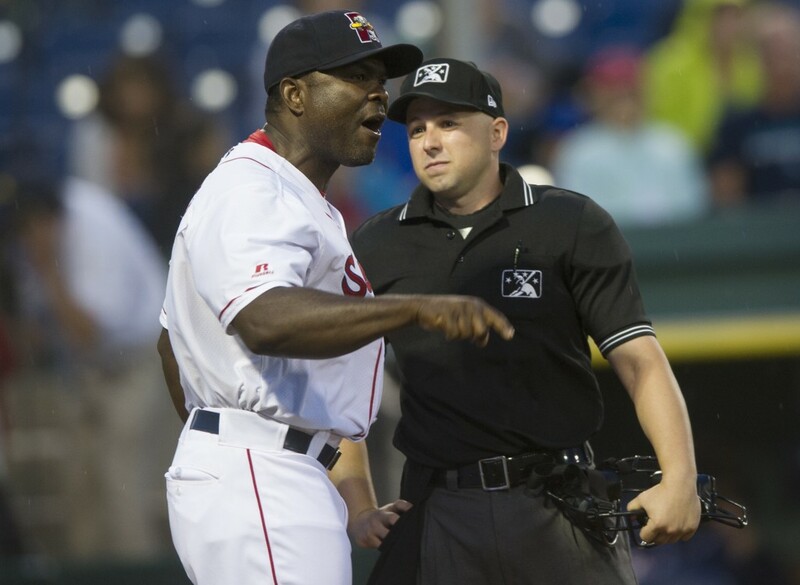 After one season, Lane returned to the MiLB Umpire Training Academy in 2019 where he earned a position in Minor League Baseball. In his free time Lane enjoys going to the gym and playing golf. Jacob attended the MiLB Umpire Training Academy in 2018 and was not selected for the advanced course. Jacob was challenged by the Academy staff to work on my physical conditioning and on-field confidence. After the academy Jacob drove out to the Pro Umpire Camp and was selected to work in the American Association for the 2018 season. Jacob had the opportunity to work with a former Triple-A umpire, Ron Teague. Ron helped Jacob learn the intricacies of umpiring at the professional level. During the 2018 season Jacob was able to grow as an umpire in handling situations, rules application and working the three umpire system. Jacob was honored to work the North Division Championship Series and the American Association Championship Series during the 2018 postseason. Jacob then returned to the MiLB Umpire Training Academy in 2019 in better physical condition and earned a position in Minor League Baseball. Jacob currently live in Gainesville, GA. He has an undergraduate degree in Accounting from Gardner-Webb University and is one class away from obtaining a Masters degree in Accounting from Gardner-Webb. Clay returns for his sixth year as an instructor at Pro Umpire Camp. 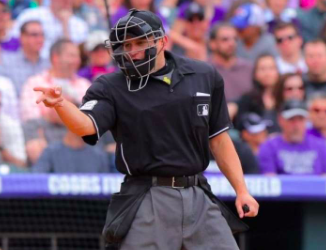 Clay’s passion for the umpiring profession along with his experiences in the American Association and as a current Minor League Umpire will benefit the students immensely in learning the three-umpire system. Clay began his career working in the American Association from 2008-2010. He was selected for the All-Star game in 2008 and post season assignments in 2009 and 2010. In 2011 he was selected for the PBUC evaluation course and then hired by Minor League Baseball. Clay has been an umpire in the Pacific Coast, Texas, Florida State, Midwest and Pioneer Leagues. Clay worked the All-Star Game and Championship Series in both the Florida State and Midwest Leagues. Clay also worked in the Arizona Instruction League, Florida Instructional League, Extended Spring Training, and will return the Pacific Coast League for the second year. Outside of his on-field umpiring, Clay has instructed at The Umpire School for three years. He also is an instructor for the South Central Umpire Association. Clay is a native of Georgetown, Texas, just outside of Austin.